Samsung's latest Galaxy On5 (2017) recently passed through Chinese certification authority TENAA, and it comes with better specs than last year's version. Carrying the model number SM-5528 at TENAA, the 2017 version of the Galaxy On5 sports the same 5-inch HD display found on the 2016 version. It will be powered by a better 1.4GHz quad-core processor, though, with 2GB of RAM and up to 64GB of RAM. There is definitely some improvement on the 2017 version compared to the Galaxy On5 (2016). Options for 16GB and 32GB storage are also available. All have support for expandable storage up to 128GB via a microSD card. Other specs of the Galaxy On5 (2017) include a 13-megapixel main camera and 5-megapixel front snapper, backed by a bigger 2600mAh battery. It has dimensions of 142.8mm x 69.5mm x 8.1mm and weighs 143 grams. Lastly, it runs on Android 6.0 Marshmallow same with the 2016 version and supports 4G connectivity. 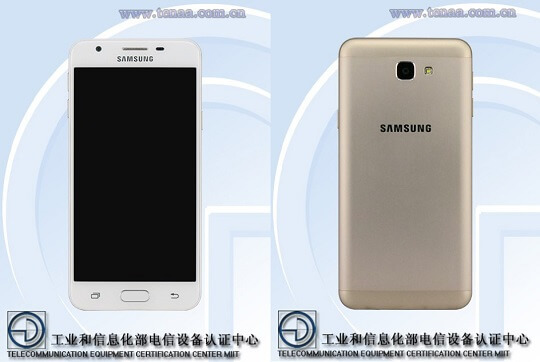 Aside from TENAA, Samsung's upcoming phone has already received Wi-Fi certification from WiFi Alliance, as well. We have no word yet on the rest of the features of the Samsung Galaxy On5 (2017), but we're guessing it will be released soon.